(Photo: © Peter Kenny / Ecumenical NEews)The Al-Aqsa Mosque in the al-Haram ash-Sharif ("the Noble Sanctuary"), or the Temple Mount, the holiest site in Judaism on 9 February 2016. The World Council of Churches has condemned an attack in Jerusalem, during which two Israeli police officers were killed, three attackers were shot and killed, and other people were injured. WCC acting general secretary Isabel Apawo Phiri condemned the July 14 attack and expressed condolences, reaching out with prayers for those who lost loved ones due to the most recent violence as well as recurring violence in the same area. "I condemn this attack as a cruel act in a place that is holy to many people. We stand with you in prayer and in sadness," said Phiri, "and we continue to work very hard and pray very hard for a just peace in Palestine and Israel." 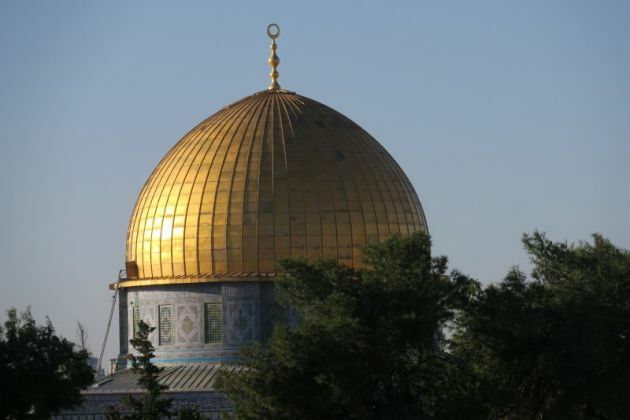 The Israeli policemen were shot by three Israeli Arabs close to the compound known to Jews as the Temple Mount and to Muslims as Haram al-Sharif (Noble Sanctuary), the BBC reported. Police chased the attackers into the site and shot them dead. There has been a wave of stabbings, shootings and car-rammings of Israelis predominantly by Palestinians or Israeli Arabs since late 2015. U.N. Secretary-General António Guterres also condemned the attack by three assailants in the Old City of Jerusalem in which two Israeli Police officers were killed and another injured. "This incident has the potential to ignite further violence. All must act responsibly to avoid escalation," he said. Guterres said his thoughts and prayers are with the families of the victims, and he wishes a speedy recovery to the injured. He also welcomed the swift condemnation of the attack by Palestinian President Abbas and the assurances by Israeli Prime Minister Netanyahu that the status quo at the holy sites in Jerusalem will be respected. "The sanctity of religious sites should be respected as places for reflection, not violence," said Guterres.